1. PRICES AND PAYMENT: All prices and charges are subject to change without notice, and will reflect those of Del Industrial Metals Inc. (hereinafter called “Del Metals”) in effect at the time of shipment. All amounts payable shall be due to Del Metals within thirty (30) days of invoice date. An interest charge may be applied on balances past due. 2. TITLE AND RISK: Title, ownership and risk of loss on damage to the goods shall pass to Purchaser immediately upon delivery of the goods by Del Metals to the Purchaser, Purchaser’s agent, or a common carrier whichever is the earliest. 3. 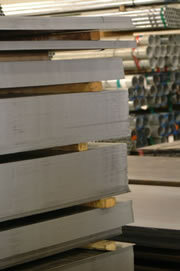 ORDERS: Del Metals attempts to ship orders received by telephone as expeditiously as possible. If shipment is made prior to receipt of Purchaser’s written confirmation of a verbal order, Del Metals interpretation of such verbal order as recorded by Del Metals telephone order desk shall be final and binding on Purchaser. To avoid error and/or duplication of an order, Purchaser must indicate clearly and prominently on any written confirmation of a verbal order the word “CONFIRMATION”; otherwise any duplication of an order which results will be at Purchaser’s expense. a) Purchaser shall have notified Del Metals in writing within 10 days of receipt of such Goods that they do not conform to such specifications and descriptions. b) Del Metals inspectors shall have determined that such Goods do not conform to such specifications and descriptions. c) Pursuant to Del Metals request, Purchaser shall have returned such Goods (in the same form and size as received by Purchaser) to Del Metals warehouse within 10 days of such request. d) The terms of payment for such Goods have been fully met. 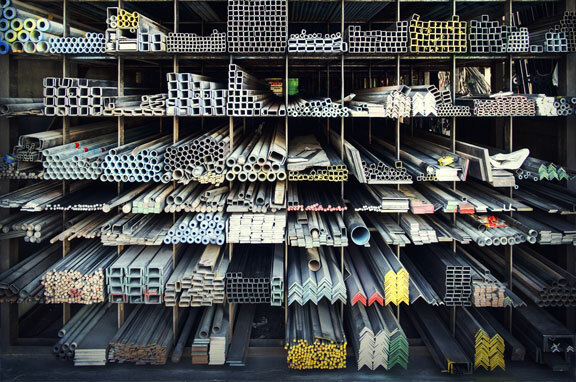 Purchaser further acknowledges that while it may consult with Del Metals staff for assistance in selecting Goods, Del Metals does not warrant the suitability of any of the Goods for any particular use or application. 5. 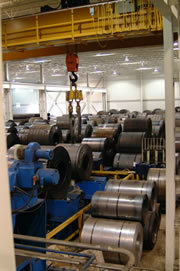 INDEMNIFICATION OF DEL METALS: Purchaser acknowledges that Del Metals will not be responsible for any damages, direct or indirect, arising in any way out of the use of the Goods and that Del Metals sole liability shall be to replace or repair or refund the purchase price at Del Metals option as set out in paragraph 4. Where Purchaser has supplied the design for all or any part of the Goods, Purchaser hereby agrees to indemnify and hold harmless Del Metals and Del Metals officers employees and agents from and against all loss, damages, expenses, claims, suits and judgments arising, directly or indirectly, (i) out of the design, installation, maintenance, use or operation of the Goods, or (ii) from any allegation that the Goods, or any part thereof, infringe any patent or industrial design or any other intellectual property right. 6. DELIVERY: Delivery is subject to stock availability and Del Metals hereby reserves the right to allocate stocks on an equitable basis. Del Metals shall not be liable for any damages, direct or indirect, resulting from delays in production or delivery of the goods or any part thereof which may arise due to such allocation or to fire, strike, labour trouble, lockout, flood, accident, or other delay beyond the Del Metals reasonable control whether or not of the kind herein above specified. 7. TAXES: Prices do not include sales or other federal, provincial or local taxes, unless specifically shown if Purchaser is exempt from such taxes, it must supply to Del Metals the applicable exemption information, otherwise such taxes must be paid by Purchaser. Where the Del Metals is required to pay at any time, tax, interest, and/or penalties resulting from any error or misrepresentation by Purchaser, Purchaser shall indemnify and hold harmless Del Metals against all such tax, interest and penalties. 8. CLAIMS AND CREDITS: Del Metals will not be liable for any shortages or errors in or damage to the Goods shipped to Purchaser unless written details of such shortages, errors or damages are given by Purchaser to Del Metals within 10 days of receipt of the Goods. However, Purchaser hereby acknowledges that Purchaser cannot return Goods which purchaser has cut, processed, or altered in any way from the form in which they were received. Purchaser further acknowledges that Del Metals is not responsible for any damage to or loss of Goods occurring during transit by a common carrier, such damage or loss must be noted on the carrier’s receipt when the goods are delivered to Purchaser. 9. 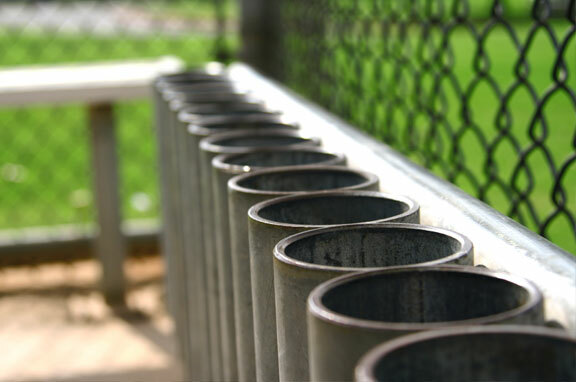 CHANGES, CANCELLATION OR RETURN: Should Purchaser find it necessary to change the specifications of the Goods after they have been ordered by Purchaser, Del Metals shall make every effort to make such changes but shall reserve the right to charge Purchaser for all services including labour and material necessitated by such changes. 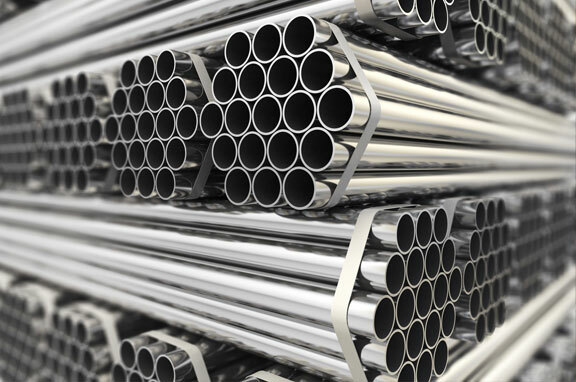 Orders for the Goods may not be cancelled and materials may not be returned by Purchaser except with the prior written consent of Del Metals and where necessary, the consent of Del Metals suppliers. All returns allowed must be in excellent resale condition. 10. SUSPENSION OF ORDERS: Del Metals reserves the right, without liability and without prejudice to any other remedies, to delay or stop shipment of all or any part of the Goods if at any time reasonable doubt exists as to Purchaser’s financial situation. 11. GOVERNING LAW: The agreement (hereinafter referred to as the “Agreement”) resulting from Del Metals acceptance or Purchaser’s order in accordance with these Terms and Conditions shall be governed by and construed in accordance with the laws of the Province in which Del Metals office which received such order is situated. Any and all disputes under Agreement and the interpretation of the Agreement shall be decided exclusively by the court of such Province. 12. ENTIRE AGREEMENT: Del Metals and Purchaser acknowledge that this agreement constitutes the entire agreement between them and that no other representation or agreement, whether oral, written or otherwise, has been made other than the ones expressly stated herein. This agreement is not transferable or assignable by Purchaser.